TICKETS MUST BE PURCHASED THROUGH THE WEALTHY THEATRE! SEE BELOW! CLICK HERE TO PURCHASE TIX ONLINE! 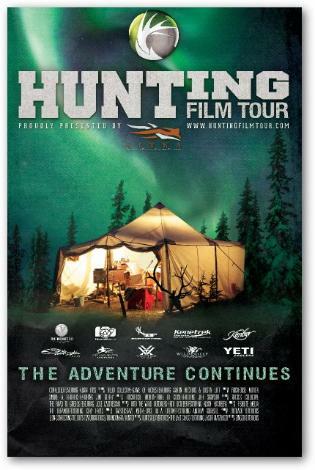 The Hunting Film Tour produces and hosts annual events that span North America, featuring epic hunting adventures on the Big Screen. The Tour highlights conservation-minded adventures that share an incredible outdoor story; capturing tales using the best cinematography, editing and music compilations in the industry. The films include archery, muzzleloader and rifle hunts for Big Game, wingshooting, waterfowling and amazing International adventures! The shows promise to entertain, captivate and inspire audiences of all ages!